Last month I flew back to Minnesota for a Valentine’s Day wedding in Red Wing, and I had just enough time to take Gemuel and Jeremy’s engagement pictures on the Stone Arch Bridge while I was home. This was awesome for several reasons: 1. Gemuel and Jeremy are super fun to hang out with, 2. I don’t get the opportunity to take very many engagement pictures in the snow anymore, and 3. did I mention Gemuel and Jeremy are super awesome?? They were so fun to work with and they handled the cold February weather splendidly. 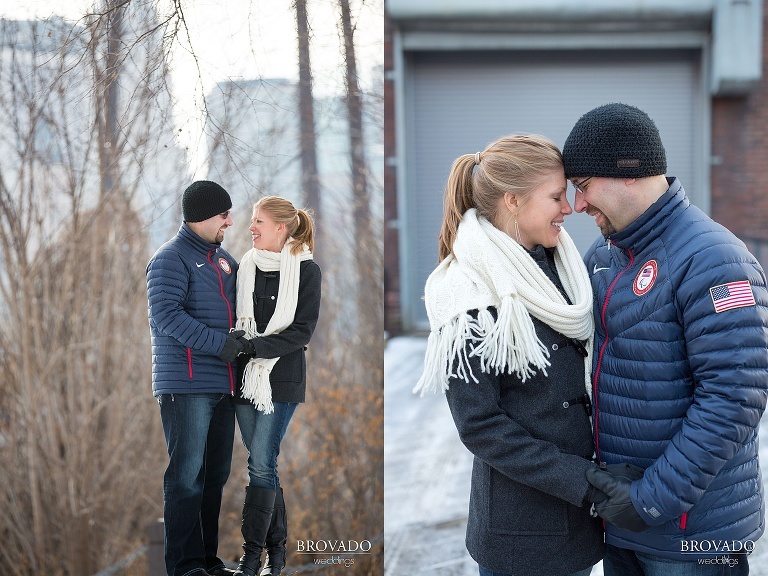 I hope you enjoy these fun winter engagement photos! Awesome pics. So happy for you Gemeul! Congratulations!